Consider partnering with us by donating to the RCPOMF. 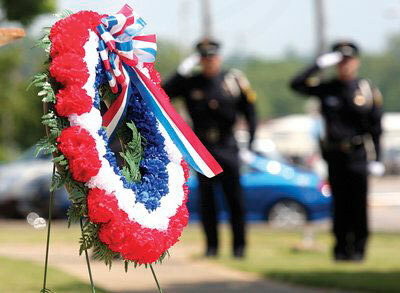 Your tax-deductible contribution will honor the memory of law officers we've lost. We still have past year's Law Ride pins for sale ($2), RCPOMF ball caps ($20), RCPOMF Foundation pins ($5). To purchase, please call (951) 515-1663. The Riverside County Peace Officers' Memorial Foundation (RCPOMF) is a non-profit, 501(c)3 organization which was incorporated in 2005. 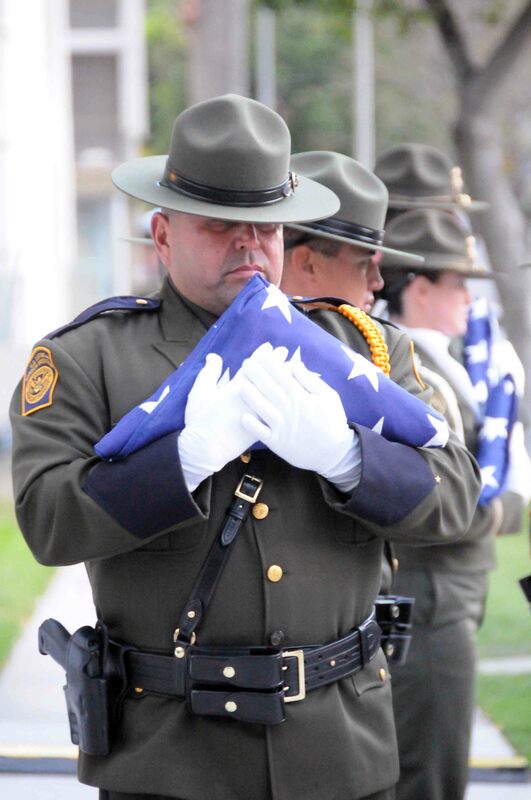 The RCPOMF honors Riverside County's fallen Federal, State and local law enforcement officers killed in the Line of Duty while serving in Riverside County as determined by the Public Safety Officers’ Benefits (PSOB) Program, U.S. Department of Justice. The RCPOMF is dedicated to the building, rebuilding, refurbishing and maintenance of Line of Duty law enforcement memorials throughout Riverside County. The Foundation honors each fallen officer, deputy and agent by keeping their memory alive and by providing our community with their individual story which chronicles their sacrifce and their surviving family's lifelong sacrifice. "The Foundation also assists with providing funds for conducting ceremonies and any needed equipment." The RCPOMF provides monetary support for the surviving family in the event of an officer's Line of Duty death (LODD). Recently, the RCPOMF has assisted families who's loved one was killed in the Line of Duty by presenting a check in the memory of their fallen officer. Long range plans include the development of a scholarship program to support the children survivors of Riverside County's LODD. The RCPOMF is supported by corporations, police association donations, governmental donations and individual sponsors. The Foundation currently sponsors a yearly Law Ride. The first Law Ride started in 2006 and was a huge success. The Law Ride is a motorcycle ride, which starts in Downtown Riverside and ends at a park or other location where riders are treated to a lunch, raffles and vendor displays. Each of our Law Rides have been escorted by law enforcement officers, making this 75 to 100 mile ride especially enjoyable. So far, the Law Rides have ended at the Deputy Kent Hintergardt Park (2006 and 2008), Lake Skinner (2009), Bogart Park in Cherry Valley (2010), and Vail Lake Resort in Temecula (2011). The Law Rides have been attended by hundreds of motorcycle riders from all over California and recently riders from Arizona and Nevada have joined us as well. About 450 or more riders attended in 2011. The 2012 Law Ride will again "end" at the beautiful Vail Lake Resort. The foundation was formed to provide the community a conduit to our County's fallen. The Foundation's intent is for our community to better understand each officer's sacrifice, and how these brave men and women went to work each and every day, knowing they may be required to pay the ultimate price in order to keep their community safe. We owe much to these who gave so much, but asked for so little in return. Please take the time to review each officer's story. Each are heroes- each deserve our respect.